WANT TO KEEP YOUR CLOTHES SOFT, FLUFFY & STATIC-FREE? With your new dryer balls you won't have to rely on chemical dryer sheets to make sure that your fabrics feel soft and luxurious! The Pure Homemaker wool dryer balls are the eco-friendly dryer sheets alternative that is here to make your life easier than ever! REDUCE DRYING TIME BY UP TO 40%! Save your time and money with our convenient wool dryer ball, which will help speed up the drying process by a whopping 40%! Imagine the difference these laundry balls will make not only on your free time, but also on your electric bills! REMOVE PET HAIR FROM YOUR CLOTHES EFFORTLESSLY! Our handmade natural wool dryer balls will facilitate the easier removal of lint or pet hair from your clothes. As a result, your clothes will look and feel cleaner, even if you like snuggling with your kitty or roughhousing with your dog! No need to use your lint brush anymore! NOW YOUR WOOL DRYER BALLS COME WITH A PEACE-OF-MIND GUARANTEE! If you are not 100% thrilled with your wool dryer laundry balls, we promise to offer you a full refund on-the spot! That's our UNCONDITIONAL guarantee! What are you waiting for? 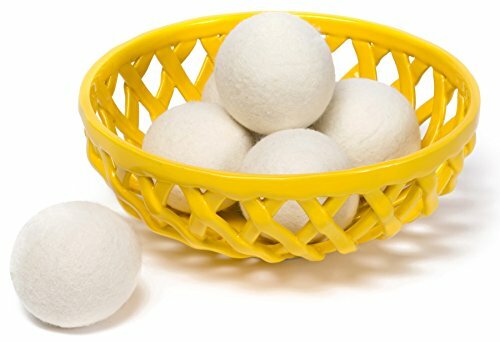 Buy these laundry balls now.